Accurate data regarding employee pay and benefits is essential for recruiting and retaining quality employees. Businesses seeking to stay competitive in Nevada’s ever-changing business climate can benefit from the Nevada Association of Employers’ pay and benefits surveys. This service is available to members of NAE and non-members; members and survey participants receive a discounted rate on the survey results. On an annual basis, NAE’s survey specialists conduct a survey of employers throughout the state to get up-to-date market data on how employers compensate their employees (i.e. the base rate of pay for each position) and what benefits are provided (i.e. bonuses, retirement savings, health insurance, paid time off, etc.). 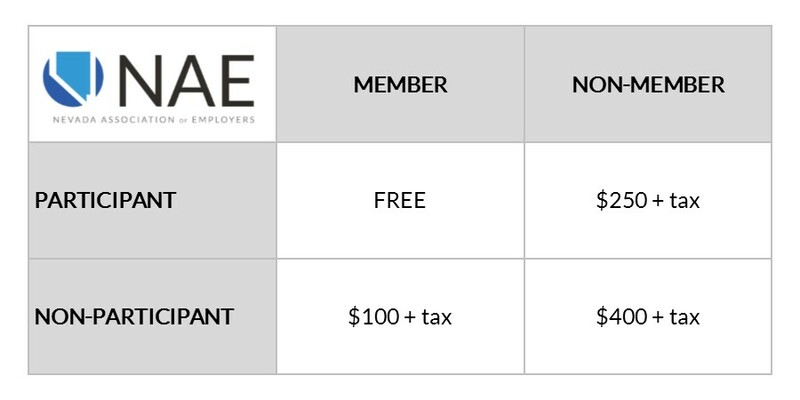 NAE encourages all employers, members, and non-members, to participate in the annual pay and benefits surveys. NAE members who participate in our surveys receive a copy of the results for FREE. All others may purchase a copy of the results. Cost is based on membership and participation. For questions about the Nevada Pay Survey or Benefits & Personnel Practices Survey, please contact NAE at surveys@nevadaemployers.org or (775) 329-4241.